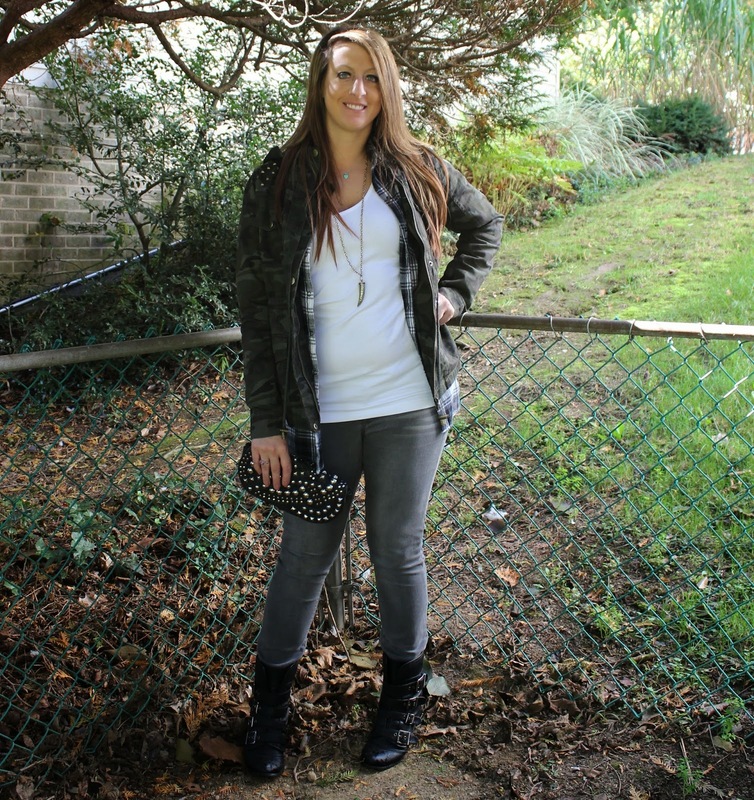 I made sure to choose grey denim for this outfit to give the entire look a badass edge. 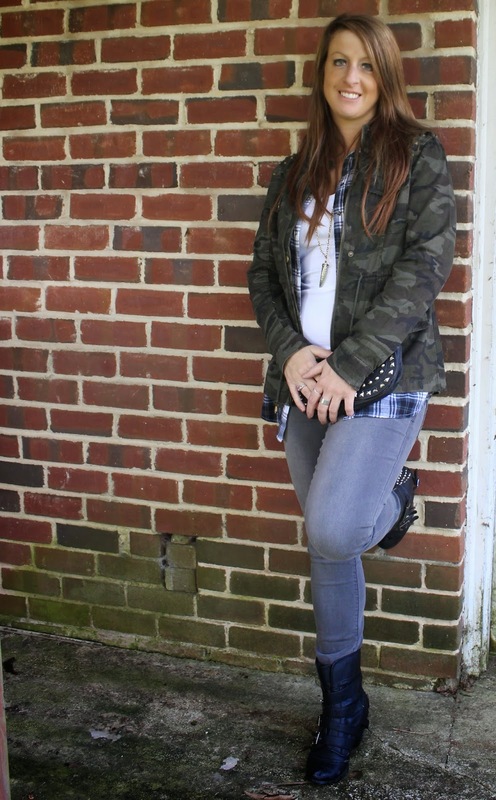 Booties - Buckle; Grey Jeggings - Maurices at Rockvale Outlets Lancaster; Cami - Maurices at Rockvale Outlets Lancaster; Flannel - Paige Denim; Necklace - Cookie Lee Jewelry. 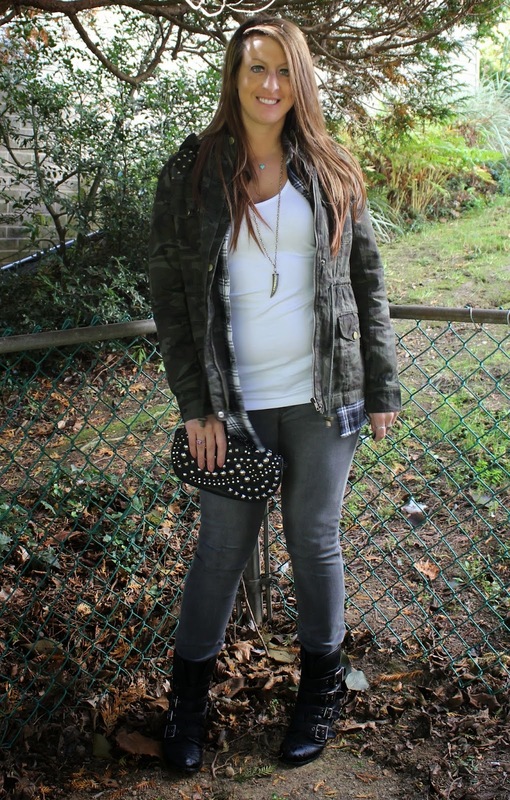 Awesome layers - love the edgy mixing via the boots & the camo jacket. Thanks for leading me to your blog via your sweet comment in mine! Let's keep in touch!! !